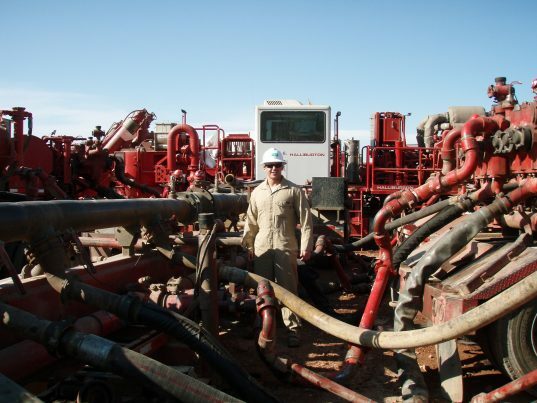 Hydraulic fracturing, more commonly known as fracking, is an unconventional method of extracting oil and gas. The practice has paved the way for increased production of domestic oil and gas in the United States. According to the U.S. Energy Information Administration, fracking now accounts for more than one-half of oil production and two-thirds of gas production across the country. Fracking’s market share is expected to increase over the next few years because it promotes shifting the focus away from coal — a move that is guaranteed to reduce greenhouse gas emissions. However, fracking can still be a harmful practice — large volumes of wastewater from fracking sites were found to have released a plethora of toxic chemicals and compounds into surface waters, leading to the contamination of a Pennsylvania watershed. A study published online in Environmental Science and Technology, the flagship journal of the American Chemical Society, revealed that treated wastewater from a hydraulic fracturing site has heavily contaminated a Pennsylvania watershed with billions of gallons of toxic chemicals. Furthermore, according to a Pennsylvania report, 10,000 unconventional oil and gas wells in the Marcellus Shale produced as much as 1.7 billion gallons of wastewater — which are treated haphazardly by wastewater treatment facilities before being dumped into the lake’s surface — in 2015 alone. As part of the study, a team of researchers from the Pennsylvania State University, Colorado State University, and Dartmouth College examined water samples from the lake to examine the potentially detrimental effects of improper wastewater management. The research team collected samples of sediments and porewaters from a lake downstream where two fracking wastewater facilities operate nearby. The scientists made observations and found that sediment samples from the lake contained significantly high concentrations of toxic chemicals such as radioactive material, salts, and metals. The research team also noted the presence of major organic contaminants — nonylphenol ethoxylates and polycyclic aromatic hydrocarbons — in the sediment sample. According to the experts, nonylphenol ethoxylates are endocrine-disrupting chemicals, while polycyclic aromatic hydrocarbons are classified as carcinogens. Exposure to toxic chemicals that were detected in fracking wastewater can result in serious health ailments. An entry on the toxicology website Toxipedia defined nonylphenol ethoxylates (NPE) as extremely toxic endocrine disruptors that are primarily found in an aquatic environment. High NPE exposure is found to interfere with hormones in animals, which in turn negatively impacts their development and reproduction. According to the entry, one potential cause of NPE exposure among humans is the consumption of contaminated aquatic foods such as fish and shellfish. Furthermore, the Center for Disease Control and Prevention‘s Agency for Toxic Substance & Disease Registry reported that exposure to polycyclic aromatic hydrocarbons (PAH) may increase the odds of developing skin, lung, bladder, liver, and stomach cancers. PAH exposure is also tied to an increased risk of developing injection-site sarcoma. However, the agency noted that more research is warranted in order to have a better grasp of the mutagenic and carcinogenic effects from chronic exposure to PAH.